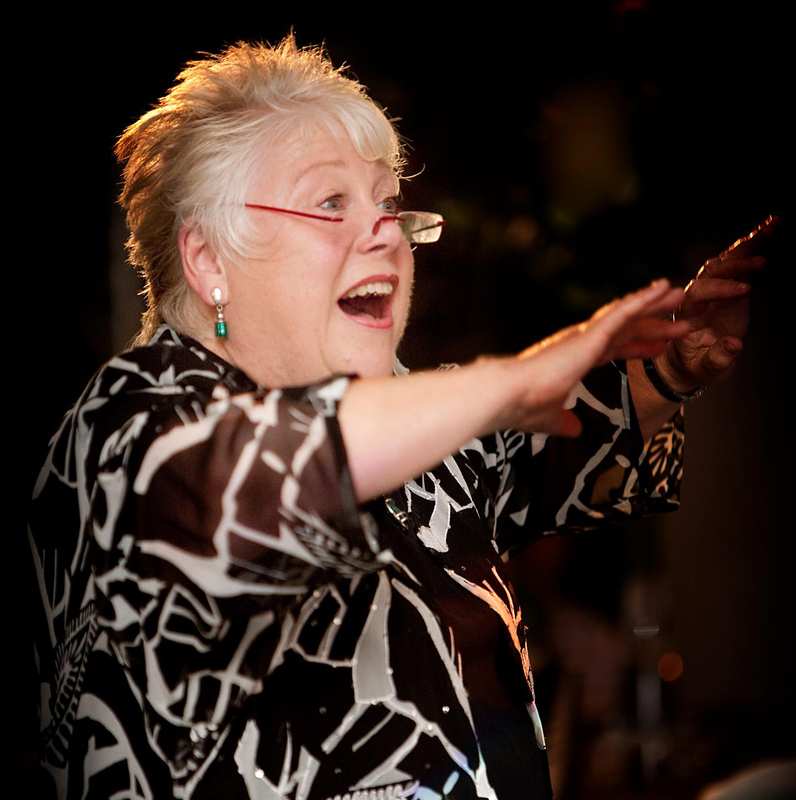 Founder-director of The Kinder Children’s Choirs of the High Peak, Joyce Ellis is a former opera and concert singer now working in music education. A finalist in the Kathleen Ferrier Memorial Competition and the Royal Overseas League Competitions, she was well-known on the oratorio platform in the UK. Joyce was a member of Glyndebourne Festival Opera and Glyndebourne Touring Opera from 1973-1976, before joining Opera North as a founder member in 1978. She has worked as a soloist under the baton of many major conductors throughout Europe, and is one of the few English contraltos to sing at La Scala. Milan. Joyce founded the Kinder Choirs in recognition of the fact that there are few quality choral organisations in rural areas. She is passionate that children’s choral music be taken seriously within the professional music industry and within the education system. As someone who failed the audition for her high school choir at the age of 11, she knows that many children take time to find their voices. A gifted, enthusiastic and committed teacher, Joyce works patiently with children who would otherwise be termed ‘tone deaf’, many of whom eventually play a full part in the Kinder Choirs. Joyce Ellis was awarded an M.B.E. in the 2014 New Year’s Honour’s list in recognition of her services to music and young people. Joyce was also awarded an Honorary Master of Music (HonMMus) by Derby University in 2009. Carol Prowse was born and educated in the High Peak. She subsequently gained a degree in Economics from London University. Carol has extensive experience of running projects and major events and has worked with the Kinder Choirs for over 20 years. She has led on many development projects for the organisation, including the successful collaboration with local schools, for which she secured Arts Council funding, on-going organisational development programmes and the overseas tours. In addition she has led on securing funding to underpin the infra-structure of the choirs, as well as facilitating the purchase of capital equipment and project and development work. There have been many successful partnerships with national agencies such as ACE, Youth Music, the Alan and Babette Sainsbury Trust, the European Parliament and “Sing Up”, as well as local Trusts and sponsors. Carol worked in the City of London in banking, before returning to the High Peak, where she was employed by the local authority. She is Chairman of the High Peak Theatre Trust, one of the UK’s leading regional receiving theatres (Buxton Opera House). For 5 years Carol was a Non Executive Director of the High Peak Dales NHS Primary Care Trust. She was on the Board of Directors, as the Deputy Chairman and Senior Independent Director, of Stockport NHS Foundation Trust (Stepping Hill Hospital) for 9 years. Currently Carol is on the Governing Body of the Tameside & Glossop Clinical Commissioning Group where she Chairs the Primary Care Committee. With Joyce Ellis, Carol organised a series of highly successful International Opera Galas, which raised substantial funds for the development of the Buxton Opera House. The last Gala was attended was attended by HRH the Prince of Wales and the Duchess of Cornwall. Carol is married and has a son. She lives in New Mills. Charlie graduated from the University of Manchester in the summer of 2018 with a First Class degree in Music. Since then he has been freelancing as a conductor and singer in the North West. As well as his work with the Kinder Choirs, Charlie is also Musical Director of Stockport Choral Society and tenor Lay Clerk at the Church of St. Chad in Manchester. As a singer he has performed live on BBC Radio with both the BBC Daily Service Singers and Kantos Chamber Choir, with whom he sang in the recording of a new piece by Rebecca Dale alongside the RLPO last year. Charlie has also performed at Bridgewater Hall and Birmingham City Hall with the Hallé Choir and Canzonetta Choir. Whilst as University he was involved in a number of high profile musical events: Musically directing productions of Sondheim’s Into the Woods and a premiere of a new musical with the Uni Musical Theatre Society; Acting as Chorus Master for the Music Society’s Opera Evening and singing with the University Chamber Choir. Charlie was also MD for Delicious Theatre’s production of Little Shop of Horrors at the Edinburgh Fringe last year. Ed was born in Derbyshire, and studied at Chetham’s School of Music. As part of his training there, he was also a chorister at Manchester Cathedral for 5 years. Life as a chorister provided Ed with various exciting opportunities, including taking part in a tour to Paris and singing at Notre Dame & Saint-Sulpice. The choristers also sang for the Queen’s Golden Jubilee service in 2002, and for BBC’s Songs of Praise. After 5 years as a chorister, Ed then studied bassoon as his principal instrument, along with the organ and contra bassoon. A love of jazz led him to also study jazz piano during his final two years at Chetham’s. Ed now lives in Derbyshire where he has a thriving piano and singing teaching practice. He has worked as an accompanist for the Kinder Children’s Choirs for over 3 years.